Reagecon's Conductivity Standard tested at 20°C is certified and NIST traceable. The product is aqueous based, non-hazardous and accurate to a specification of ± 1%. 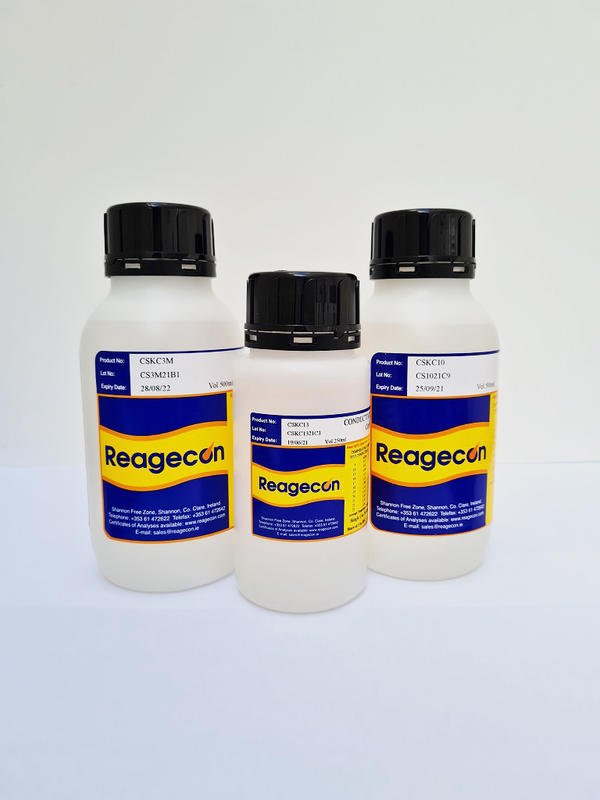 The product because it is aqueous based, has a low temperature co-efficient of variation and guaranteed stability throughout its entire shelf life, even after opening the bottle.